FRP stands for ‘Factory Reset Protection’. It is a security feature introduced by Google to protect your Android device from unauthorized access. This allows in securing your private data. If your smartphone gets stolen or misplaced, this feature becomes helpful. This function is automatically when you set up by a Google account turn on your android device. After a robbery or theft of your phone, the device could be used only after resetting the time and data, at that point the FRP locks your phone. Then the users need to fill their Gmail Id and password to unlock the device. Many Android users have recently come up with issues while removing FRP lock. Mostly the Samsung users face problems during the bypass Google or Samsung account verification. Other Android device users are also facing similar troubles when they forget their Google account login. Therefore, we are providing you with a complete guide to bypass FRP Bypass verification, irrespective of the version of your Android device. FRP Bypass Apk is a system that allows you to remove FRP when your Android device gets locked. It helps to restore your smartphone. It was developed by Google for the Android 5.0 Lollipop in 2014. Almost all the Android smartphone manufacturers comprising the Samsung, Sony, Google Pixel, HTC, Huawei, LG etc. has implemented the latest security features. FRP is a high-quality protect to your Android device from thieves, but it is an incredibly inopportune situation when you forget your own Google account username or password. This will lead to a troublesome situation. But by following a few steps you could bypass the verification process. Using FRP Bypass Apk is not an easy process, it includes complicated procedures. However, you could get it right if you follow the steps correctly. First of all, you need to download an app to FRP security system. It is recommended to download the FRP Bypass Apk on a USB drive. This file has made bypassing Google verification much easier, especially on devices like Samsung, LG etc. 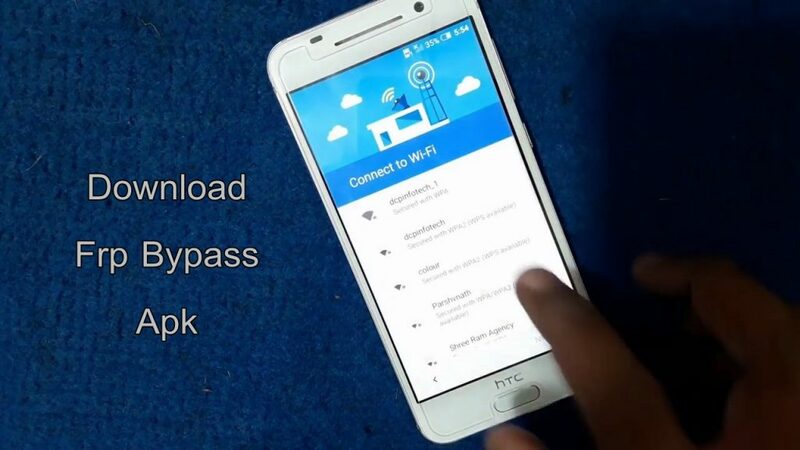 You can simply follow the given link in order to download Bypass Google Account Apk on your PC. After installing the FRP Bypass Apk file, follow the step-by-step guide provided below on how to bypass FRP. In case the latest version of FRP Bypass Apk doesn’t work for your Android device, you can try out the other versions. Lately, the Android developers like Samsung have taken security and privacy as important matters. So they have made the platforms highly safe and secure for the users. Though you get satisfied with the fact that your personal data is being protected from others, it could put into a dilemma when you yourself would be unable to access to it due to FRP. How to bypass FRP on Samsung devices? Connect the USB to your phone using an OTG cable. Tap on ‘Factory data reset’ and ‘erase everything’ or ‘reset device’ to wipe all the data options. The erased data includes downloaded apps, Google account, system and App updates, device settings, music, images and other such data. After this step, your phone will automatically reboot. The booting procedure would be taking time which is normal for your device after a reset. So let the phone rest for a while. All this and you are done. Congratulations, now you have successfully bypassed the Google Factory Reset Protection on your Android device. After this, you wouldn’t have to face the FRP lock issues anymore. You would neither be asked to use your Google username or password. Consider downgrading Android versions to previous ones. If your device is running on Lollipop version then downgrade to the further firmware versions. Downgrading android version helps in removing FRP lock quickly. There are many other FRP bypassing methods and tools available for Samsung and other Android devices. But it doesn’t have to work every time. The above-mentioned procedure has proved to be useful for many smartphone users in removing the FRP lock. FRP Bypass Apk file is a safe method to reset your Android device.